Are you interested in purchasing a new boat? With our model configuration tool, you can select the type of engine, upholstery or options on the JEANNEAU sailboat or powerboat of your choice. Use this JEANNEAU boat model comparison tool to find the sailboat or powerboat model that best suits your needs. Are you interested in purchasing a previously owned boat? Find ads for pre-owned sailboats and powerboats for sale on the website, Jeanneau Occasions. Are you looking for spare parts or technical information for one of our boats? Click Here for your nearest dealership. Would you like to receive a financing offer or an insurance quote? SGB Finance offers financing and insurance options for individuals and professionals. To learn more, contact a Dealership Jeanneau. Would you like to sell a second-hand boat? You can sell your sailboat or powerboat via the website Jeanneau Occasions. Are you a journalist looking for information and photos of our boats? You can download all our photos and videos in high resolution from our online digital library. To register for access, click on “Register” and complete the form on the first page of the website. We will receive and confirm your request for access by e-mail in the shortest possible delay. 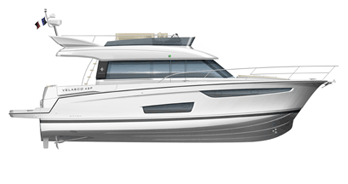 Would you like to apply for a position at Jeanneau? You can find all our offers on the website of the Bénéteau Group. Would you like to obtain a certificate of compliance or a duplicate nameplate? You can find the procedure to follow by Click Here. Would you like to visit us at a boat show? Invitations to boat shows are distributed by the dealer network. Click Here to contact your JEANNEAU dealership.